Cinema APK is a new streaming service that is rising in popularity these days as a replacement to Terrarium TV. However, the question that most potential users of the app have is whether it’s actually the right fit for them. After all, we’re all used to installing products that being talked about a lot in the news and social media, only to find out that the product is overrated and there’s really nothing special about it. So, it makes sense if people would have questions about Cinema APK before installing it. If this sounds like you and you’d like some in-depth review of the app before you download it, then you have come to the right place! So, just keep reading this Cinema APK In-Depth Review and whether it is, in fact, worth the install. While most of you probably have an idea of what Cinema APK is – if not, check out some of our other posts about it like the best alternative to replace Terrarium TV , or How to Install Cinema APK on Firestick and Fire TV – we’re going to go into a bit more detail here so that you have a clear idea of what it’s all about and whether its a fit for you! Cinema APK is an Android-based program that allows you to watch movies and TV series. APK actually stands for Android PacKage; the file format used by the Android OS for the distribution of Android apps. The way Cinema APK platform works is that it basically functions as a gateway; pulls out links from all over the internet which includes the movie or TV show you want to watch. The app allows you to either stream your favorite content online or even download it for later view. You can even watch shows and movies in HD quality. But, before we proceed with the Cinema APK In-Depth Review, let’s talk about some privacy concerns. Now whenever you stream online, there is the potential that you might access copyrighted content. In these cases, you definitely want to have a VPN for protection and security. VPN or virtual private networks form a kind of a virtual tunnel; hides your private network and the public network that you access when you’re surfing the internet. Websites, links and even the content that you stream through services like Cinema APK are all part of the public network; this makes possible for others to view what you are accessing. However, with a VPN your traffic is encrypted and secured. Because they’re basically tunnels, VPNs have the ability to hide your private network as well your location. By using VPNs, you can access even more area locked content on Cinema APK. Some VPNs also have the feature for you to choose which region you’d like to appear from; you can then access material from specific areas as well which is excellent when it comes to bypassing geo-restricted content. There are lots of different VPN companies out there, some are free, others are advertising supported and still, others are commercial. With VPNs you definitely get what you pay for as while not paying anything might sound ideal, in reality, these solutions often end up costing more in the long run as they often end up infecting your systems with malware. IPVanish is quite literally the world’s best VPN service. It is safe, secure and has a strict “zero-logs” policy making it virtually impossible for anyone to figure what you’ve been searching online since no data is recorded by its server. Additionally, it has a fast connection, unlimited P2P traffic, allows anonymous torrenting and access to censored apps and websites. IPVanish has more than a thousand VPN servers operating in more than sixty countries so there’s never a burden on any one particular server. You can also switch servers whenever you want. When it comes to streaming content online IPVanish is the best VPN by far. Fortunately for you, we managed to get an exclusive 57% of IPVanish. 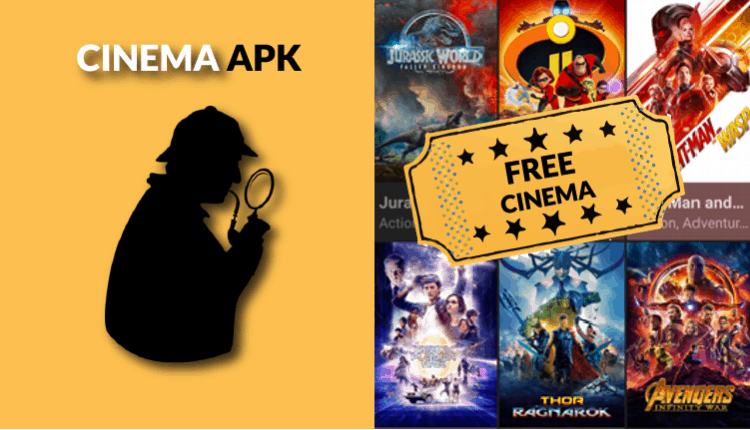 What Makes Cinema APK Different? Now that you understand the importance of a VPN, let’s get back to our Cinema APK In-Depth Review and why it’s something you definitely want to use. One of these reasons is availability. Cinema APK is available to use on all Android devices. It is also available on Amazon Fire TV, Firestick and even Fire TV Cube. It’s really simple and easy to install and so far in all of my testing it has just worked! 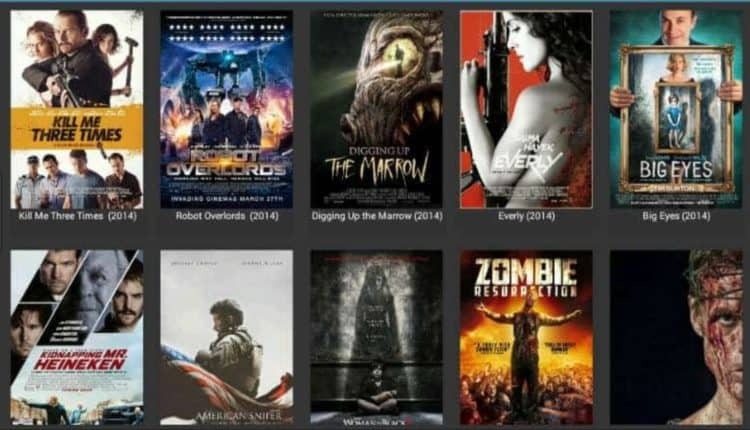 Cinema APK has a massive collection of movies and TV shows. It is updated very frequently so you can be sure to watch newly released movies and TV shows on it as soon as they’re aired or made publicly available. Going further on this Cinema APK In-Depth Review, it has a pretty simple, minimalist user interface which is quite straightforward. This is an area which you might have a problem with- especially if you’re into aesthetics and things like that. However, if you look at the overall app, you’ll realize that the developers didn’t spend much time on the interface; they wanted it to be simple for everyone to use, and also they’ve got a massive library to attend to. This is why the interface is simple and functional- so its a “problem” that is pretty easy to overlook! The newest update on Cinema APK now allows users to use external video players and subtitles when watching their favorite movies and TV shows. Additionally, you can even set up a Real-Debrid account through the Settings menu on the app; even more HD quality content on Cinema APK will be available. The new update has also integrated your favorite websites like YouTube Red, Netflix and Hulu into the app so that you can view your favorite content from there as well. This has made more customizable for users and also has made Cinema APK a place where you have all of your entertainment related content. In addition Cinema APK lets you link your TrakTV account to the app so it can pull in all of your watched history and favorites. While Cinema APK generally works well with users, we realized that not including any issues would not make this Cinema APK In-Depth Review complete. Therefore, we thought it would be a good idea to tell you that even though this app seems to have everything- a large collection of movies, TV shows and so on, it has also had problems with some external video players. Until the last update (which was a few days ago), it was crashing whenever users would use external players on Android Oreo devices. The last update solved this issue; but when you download it, do make sure that you have the latest version as to avoid this issue. Also on some Android devices for some reason it doesn’t show up after installation; this is primarily an issue with the Android launcher and not Cinema APK and is easily rectified by downloading another Android launcher. After this Cinema APK In-Depth Review, as you can see, Cinema APK really is a great app for you to download and use on a daily basis. There’s really no reason not to recommend it. We definitely think that it’s worth downloading and we believe that you should give it a try. In the end, Cinema APK is a great app which we highly recommend using. Of course, it is not perfect, but it’s also not too far off. It emulates Terrarium TV quite well and while it hasn’t introduced new features as long as it continues to work, I’ll be quite happy! Finally do not underestimate our previous privacy warning, as the app eventually gives you access to illegal or geo-restricted content, putting you in the wrong side of the law; just use a VPN for your peace of mind. We hope this Cinema APK In-Depth Review, helped to make your mind. Have a great day! Many films and TV series won’t play when clicking the link, some don’t provide any links at all and some TV series play the wrong episode. Apart from that, when I can get a working link, the picture quality is excellent and in most cases the progression is quite smooth. Tried using Cinema APK In-Depth Review with the VPN, worked fine. Thanks for the article!